German Krautrock legends Kraftwerk and Dieter Doepfer have worked together for a long time. As the only one in its industry Dieter Doepfer even may use their name for advertising purposes. 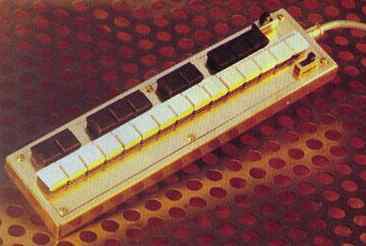 Dieter: One day i got a call from a Mr. Schneider who wanted to know if we could rebuild a special keyboard into a MIDI keyboard. The caller was Florian Schneider of Kraftwerk. Schneider experimented much with speech synthesis, and had found a keyboard that was triggering speech sounds (phonemes) in place of letters. 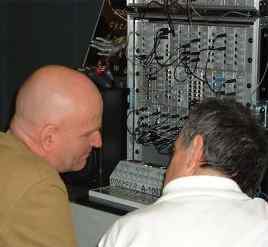 After the modification by Doepfer, Schneider was able to send signals to a sampler in which the sounds were stored. In the end, the Kraftwerk operator could connect the phonemes with a sequencer into sentences. Until it worked, Schneider had come several times to Munich, where they got to know eachother better. 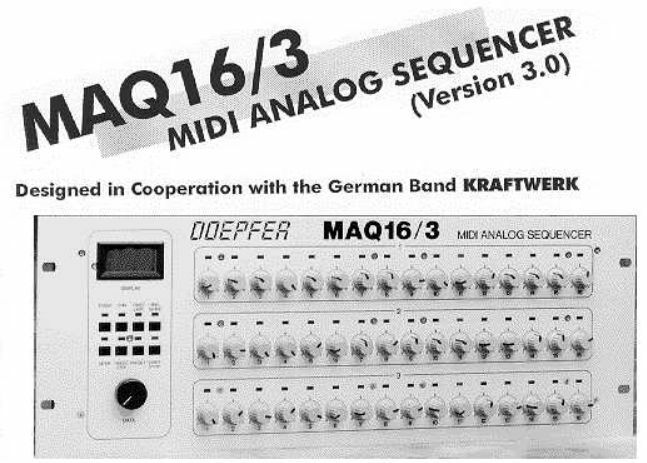 Around that time, Dieter installed a MIDI-retrofit on their old EMS vocoder. Also in the construction of the MAQ 16/3 analog sequencer with MIDI output, the company worked with the musicians. Florian Schneider was apparently quite involved with the development of the 16/3, being regularly sent updates to the operating system and giving his comments in return. Dieter: "Since then, we are allowed to use the name Kraftwerk to the device. But we do not want to overdo things"
In 1996 Florian Schneider also wrote a review for a German music magazine 'Keys' about one of the Doepfer company's newest items, the A-100 vocoder module and even contributed a short demonstration of the units capabilities on the free CD that accompanied the magazine.
" 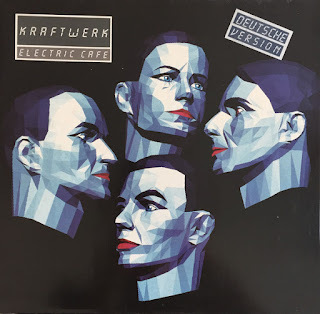 Our collaboration with Kraftwerk started many years ago as we made some special designs for them (e.g. the miniature keyboards they use on stage for Taschenrechner/Pocket Calculator and a special phonetic keyboard for voice synthesis). The first unit we built in cooperation with Florian Schneider was the MAQ16/3. We built some prototypes and Florian tested them and told us what we would improve and which features are not required. So we went many times to the KlingKlang studio in Dusseldorf until the final version of the MAQ was complete. A similar cooperation - but not as close as with MAQ - was made for the SCHALTWERK. The next cooperation was the A-100 vocoder. We tested all of the vocoders of Florian (and that's a lot) and compared them to our A-100 vocoder prototypes (the first versions with different filter designs in quantity and filter response types, e.g. 10 band passes, 8 band passes and high/low pass, 13 band passes and the final version with 13 band passes and high/low pass). And so we found a very good compromise between price and sound. Even the very high priced vocoders sounded not significant better than the final A-129. important for a good vocoder effect (is now included in the A-129-5). All high priced vocoders imply such a treble boost but the customers is not aware of this detail as there is sometimes no remark in the user manuals. We experimented together with Florian with a 32 band graphic equalizer to find the best treble boost for good speech recognition and implemented it into the A-129-5."